State Of Nerd-Dress: 2018 Onward! Kurtis here, founder and host of our podcasts. Wanted to write up a quick update for you all and give you a rare glimpse into 2017 for us and what we plan to provide you in 2018. This year was the best for Three Angry Nerds (LLC), not only did the main podcast succeed after a slump, but it’s succeeded spectacularly. For reference, at our peak, Three Angry Nerds had around 5 Million subscribers, but we lost a lot, at our lowest we were around 50,000 subscribers. We’ve worked to provide you with more content, partnering with organizations like Netflix, Vinyl Me Please, Universal, Disney, Paramount, 20th Century Fox, and Warner Bros to bring exciting content to all of our listeners, and it’s showed. You listeners have responded kindly, and have helped Three Angry Nerds reach 7.7 Million Subscribers. From my heart, and that of everyone at Three Angry Nerds, we want to thank you for that. It’s been a comeback, and I won’t deny that, but it’s been one hell of a comeback. 2) We will be featuring a monthly ‘Blind Date’. We’ll take applications starting January 2018 for someone who we will promote on the podcast as a single person, we’ll list their likes, personality, etc and leave it up to some of you single listeners to see if you’re interested. Instead of just providing advice, we’re going to start hooking some of you up! There’s some legal component to this that we’re working on, but rest assured it’s going to be fun. 3) We’ll be interviewing dating experts, people who have educational and professional backgrounds in providing advice, to provide some professional general advice to those who need it. The aim is to have one expert interview a month. 4) We will be eliminating common questions, ones we’ve undoubtedly answered already will not be featured in future episodes. With this new format, we will have less time to answer redundant questions. Music Talk is our newest podcast, and has been relatively successful. In it’s first year it’s obtained around 20K subscribers. I really hope you guys check this out more. There was a sponsorship opportunity that excited myself and the team, and we re-purposed Music Talk slightly to reflect this, but that sponsorship went sour and now Music Talk will be returning to it’s bi-weekly (twice a month) schedule, with the music selection returning to that of myself and fans only. It was an honest mistake letting a sponsor dictate music selection, and while it seemed like a good opportunity at the time, it’s one that I am realizing now was one of false promises. We’ll be returning with a new episode shortly and keeping the format simple here on out. Ultimately while I’d like some revenue to come in that will help us grow, it comes time for me to realize when and where that’s appropriate and frankly Music Talk isn’t it, and that’s a good thing! Three Angry Gamers has had a weird year, with a change in co-hosts not once, but twice. Still, it averages around 10K subscribers a month. There’s a lot more potential here, and we’re working with video game developers and publishers to provide more preview coverage. Something that we got this year with Marvel Heroes Omega, Dragon Ball Fighter Z and Friday The 13th: The Game which received a positive response from you fans. 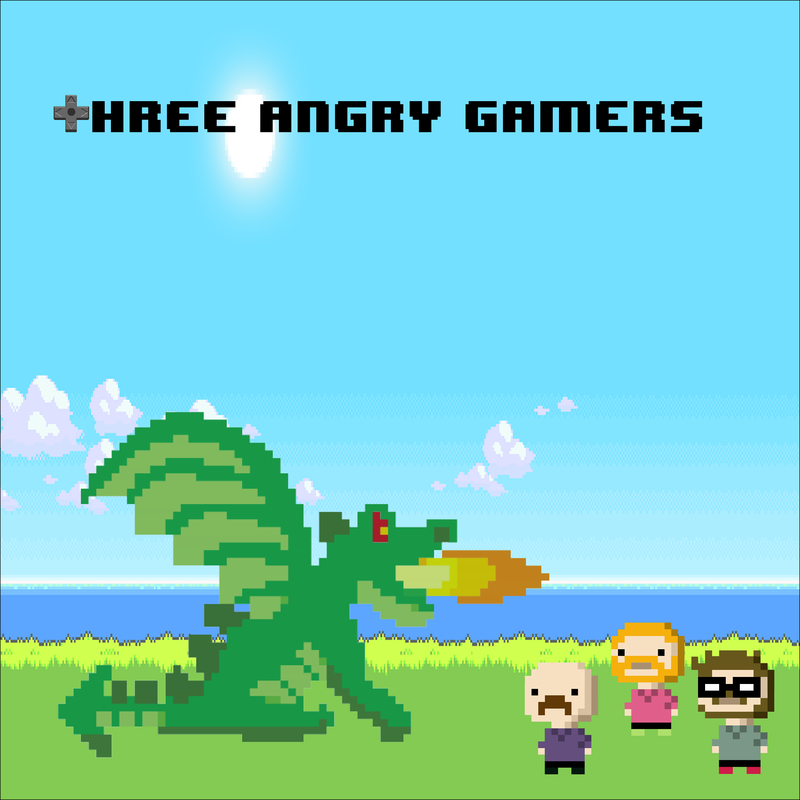 We’re always open to suggestions, so feel free to send them to us for Three Angry Gamers or any of our shows at threeangrynerdspodcast[at]gmail.com. 1) In light of other outlets (i.e. IGN, Screen Junkies) having issues with their own HR departments and issues of harassment; I’m employing a 3rd party HR service to be here to oversee all issues relating to how we conduct ourselves with each other, as well as with fans like yourselves. We’ll be creating a code of conduct and ethics, and will be working to ensure that Three Angry Nerds LLC is a place where people can continue to feel welcome. We’ve been lucky to only have one major issue which we got compliments for handling, and we want to keep it that way! 2) Three Angry Nerds LLC has made progress to function better as a Podcast Network. We’re working with Advertising Agencies, publishers in various industries, and have brought on a Full-Time Business Manager. His role, aside from ensuring that we are a well-oiled machine, is to come up with strategies for 3rd and 2nd party podcasts to find a place where they can function and grow without feeling as if they need to work with us in a rigid fashion. It’s our overall hope that we can share and parlay our own success into launching other podcasts and helping them find success. We’re speaking with a few content creators, who will be working directly with myself and our new Business Manager and will have more to announce in the months to come. 3) We’re announcing only one new show this year. Culture Court and First Friday have been cancelled, but the idea of us discussing a movie each episode was something fans responded too, with many wanting us to focus on horror movies. So we’ll be launching a new show in January 2018, which will focus on discussing a horror movie every two weeks. We’re looking to bring in some exciting co-hosts, and while nothing has been set yet (haven’t finalized a name for it yet!) I’m excited to share more, and discuss horror movies with a great crew. Be sure to stay tuned on Twitter and Facebook for more. As always, you can reach out to us via email, or on Twitter.